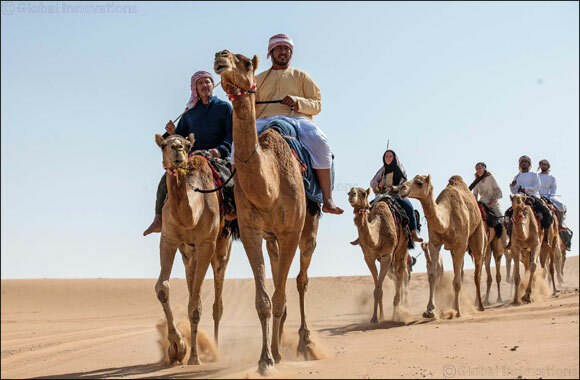 Dubai, UAE, January 17, 2019: The Hamdan Bin Mohammed Heritage Center (HHC) has successfully kicked-off the 5th edition of the annual Camel Trek on Wednesday. Ten brave UAE residents have joined the 700 km camel trek which started from Ghayathi, in the western region of Abu Dhabi. This year’s camel trek is the fifth edition organized by HHC. “The camel trek has become very popular among UAE residents, particularly among those who love camels and like to have a different desert experience. The journey connects them with nature, in addition to developing ties of friendship and cooperation among the trekkers,” she added. Al Qemzi said journey will cover a total distance of around 700 km, traversing through the vast expanse of UAE desert, including the Liwa Oasis and Swaihan desert, to give the participants a perfect opportunity to learn the rich Emirati culture and old ways of the Bedouins. HHC has provided all the necessary logistics for the entire trek, including the camels, tents, food and other provisions, and a medical team on standby. The trekkers are expected to conclude their journey on January 29 at the Global Village in Dubai.